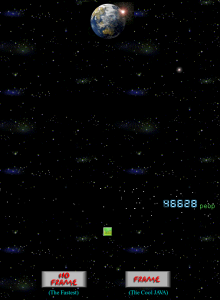 All this battle aside, fact is: Frames made possible new kinds of structures and graphical effects not possible before in the browser.3 And Geocities carries thousands of examples on how amateurs used them. 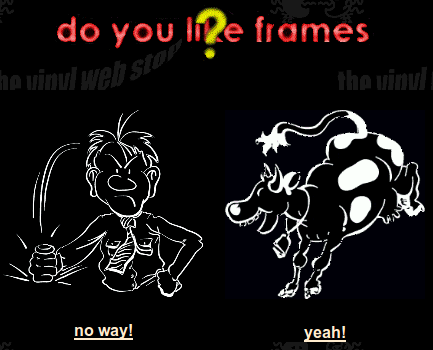 Remarkably, the frames debate is very present in their pages’ designs, because visitors are in most cases given the choice: frames or no frames. Asking web site visitors such “technical” questions is professionally considered a capital usability offence. In some corners of today’s web you can still find the quite similar “Flash or HTML?” But frames or not wasn’t only a technical question, it was a new approach on how to deal with controversies online: just give people a choice and everybody will be happy. So when visitors had to decide something anyway, many webmasters used the opportunity to create welcome pages describing what’s laying ahead. In many cases their appearance differed from the following actual web site, deliberately standing out in the navigation flow and creating dramaturgy. 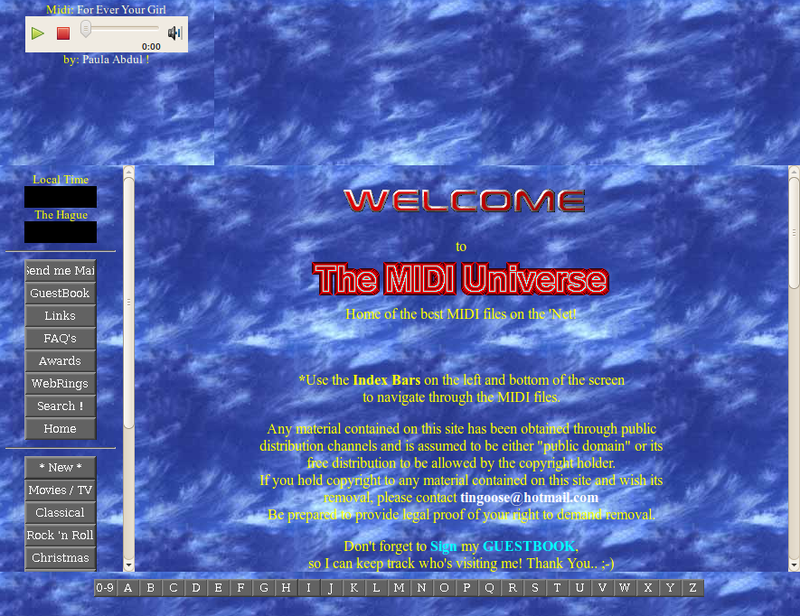 The MIDI Universe for example embeds the question whether to use frames in a space setting. Take a step back and consider the big picture! The following pages give the impression of having zoomed into the cloud or ocean surface of the planet. Dive in! 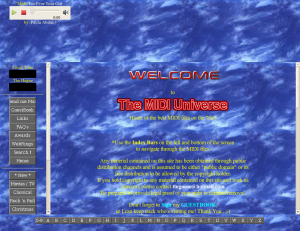 Speaking of MIDI: Of course any serious web site with music playing in the background would use frames: one constantly holding the music player while others could be used to navigate around. Typically, one of the frames was filled with links to all parts of the site, and the minimal setup consists of just two frames, navigation aid and content. This meant that webmasters had to provide two navigation systems, one for frames and one for no frames. 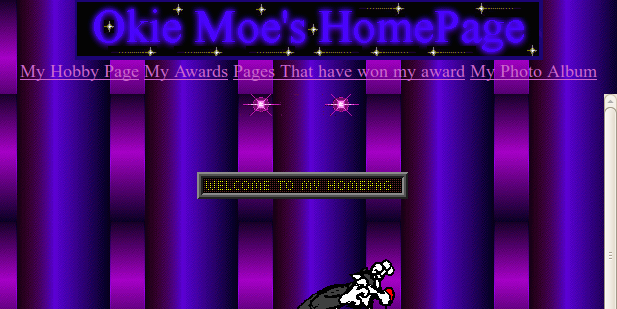 The most efficient way was probably to include the no frames-navigation on the site’s first “content” page. The downside of this approach was that in frames mode, visitors would see the navigation two times, once in the navigation frame and once in the “content” frame. 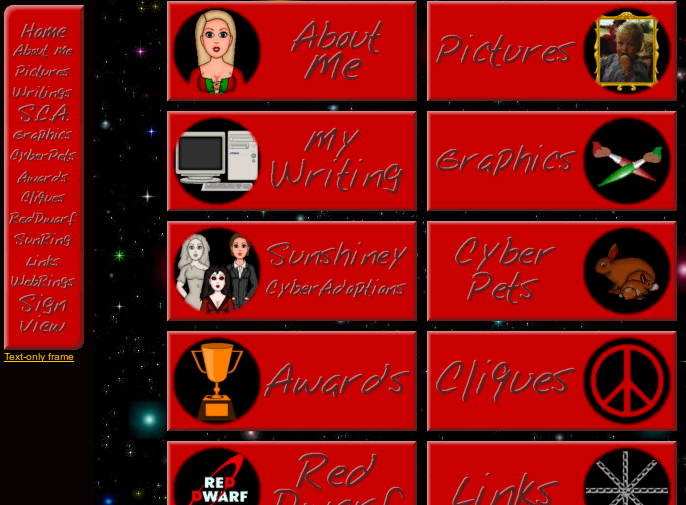 Another very popular style was to create a different starting page with the navigation for no frames that would not show up in the frames context. 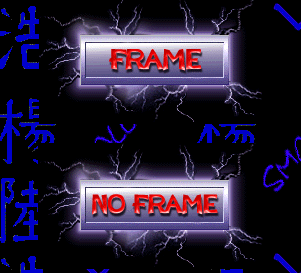 Since webmasters offering frames usually also preferred the frames mode, the no frames version would in many cases fall out of their sight, soon be forgotten and missing updates. 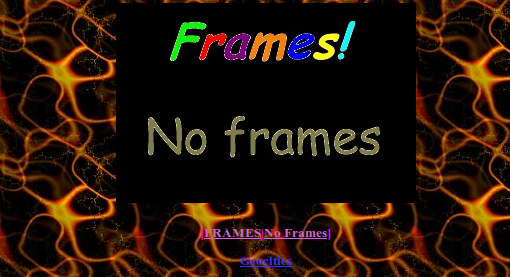 Commercial web sites liked to use frames for branding. 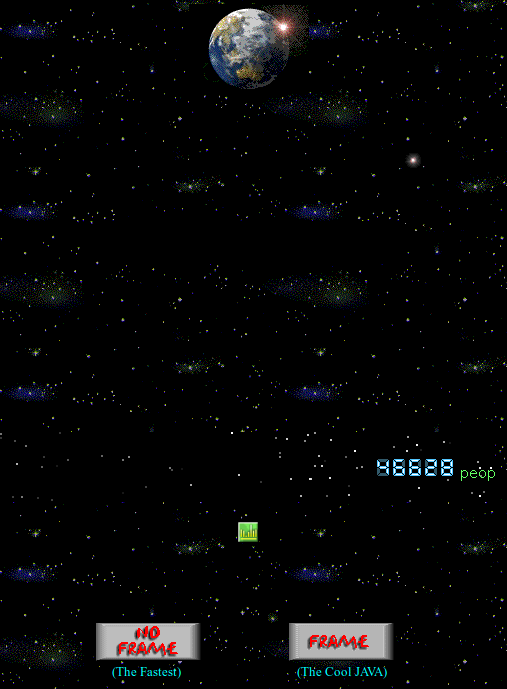 Splitting the browser window allowed to place a visually stable logo on screen that wasn’t affected by the visitor scrolling in another frame. Of course amateurs did the same with their sites and branded them with their names or their made up companies’ names. Some frame branded pages would display double branding, with two different logos. The reason is similar as with navigation frames: The frames version shows an additional logo, and no frames got its own logo. I suspect that many webmasters created two different logos on purpose, because it looks much less confusing than having the same logo twice. Very nice article. One thing I like to add is that I think one reason why webmasters preferred frames a lot was that it was easier to add a new page to the website. With frames you would only need to update the navigation frame and not every single page. What made it, in theory, much more convenient to use. Today we all use php to add our navigations but this was seldom an option at this time.